Most popular Dance Costume Hats for sale online in a variety of styles including fedoras and newsboy caps. 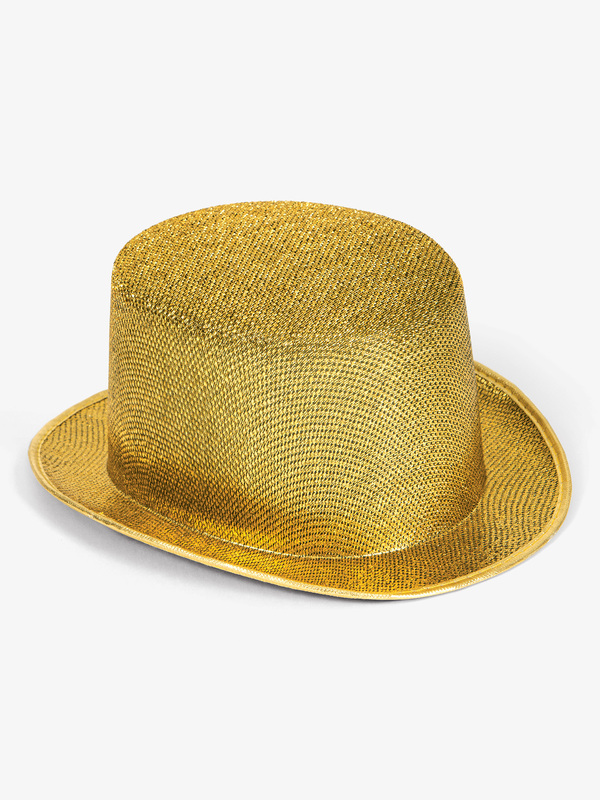 Balera Sequin Fedora: Dazzling sequined ladies' fedora hat, available in a variety of dynamic colors to complement any costume. One size fits most adults. Imported. Balera Pleather Baseball Cap: Classic baseball cap made of durable faux leather fabric. Adjustable back strap helps ensure a comfortable, secure fit. Imported. Balera Metallic Baseball Cap: A classic baseball cap in shimmering metallic fabric. Adjustable back strap helps ensure a comfortable, secure fit. Imported. Balera Studded Flat Bill Hat: The classic baseball cap gets a modern makeover with gold pyramid studs shimmering across the front panel and flat bill. Adjustable back strap helps ensure a comfortable, secure fit during any routine. Imported. Balera Traditional Baseball Cap: Traditional style and simple, go-with-everything colors make this baseball cap a versatile addition to any dance costume wardrobe. Adjustable back strap helps ensure a comfortable, secure fit. Imported. Balera Rhinestone Stud Flat Bill Hat: The classic cotton baseball cap gets a modern makeover with a flat, shiny, gold bill and a cluster of jewel-toned rhinestones and black and gold studs on the front panel. Adjustable back strap helps ensure a comfortable, secure fit during any routine. Imported. Balera Knit Beanie: Simple, classic style, soft, stretchy fabric and a variety of available colors make this stocking cap a go-to accessory for hip-hop. One size fits most adults. Imported. Balera Jeweled Beanie: The traditional stocking cap gets a modern makeover with a cluster of iridescent crystal rhinestones in a variety of sizes along the folded hem. One size fits most adults. Imported. Balera Metallic Foil Ribbed Beanie: The traditional, rib-knit stocking cap gets a modern makeover in gold metallic foil. One size fits most adults. Imported. Balera Silver Top Hat: For formalwear sophistication, this lightweight silver top hat shines on stage. With a felt brim and hat band. Imported. 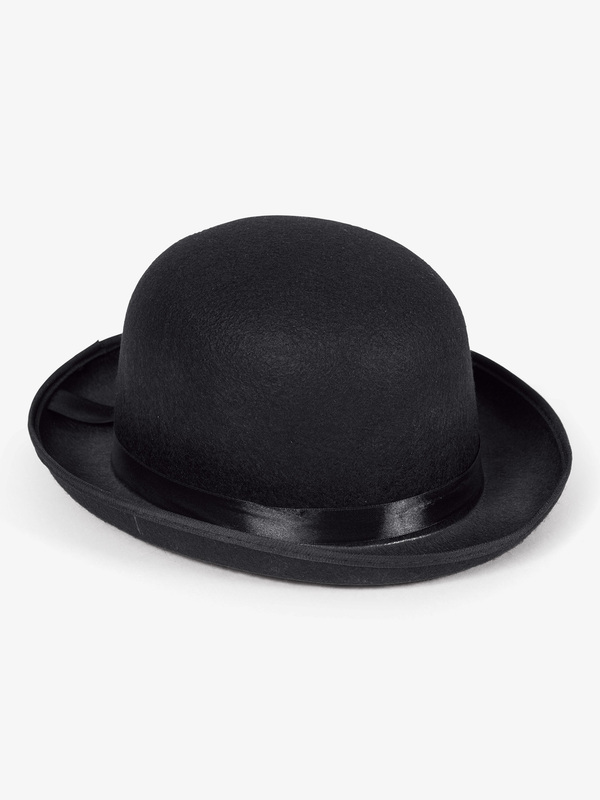 Balera Bowler Hat: This felt bowler hat adds a classy, vintage dynamic to any dance routine. With a wide brim and shiny black hatband, this lightweight costume accessory stands out on stage. Imported. Balera Navy Sailor Hat: Traditional white, cotton twill sailor hat. Sturdy elastic loops provide anchors to secure hat to hair with hairpins (not included). Imported. Balera Neon Fedora: Stylish neon ladies' fedora hat with matching hatband is perfect for performance and competition costumes. Imported. Balera Neon Bill Baseball Hat: The classic cotton baseball hat gets a modern makeover with a metallic, neon bill and neon cap accents. Adjustable back strap helps ensure a comfortable, secure fit during any routine. Imported. Balera Striped Knit Beanie: Classic, soft, stretchy stocking cap featuring contrast stripes on the brim. One size fits most adults. Imported. Balera Clear Sun Visor: Sun visor with a transparent brim and an elastic back for a secure fit. Imported. Balera Satin Baseball Cap: Classic baseball cap made of satin. Adjustable back strap helps ensure a comfortable, secure fit. Imported. Balera Cowgirl Hat: Traditional cowboy hat with satin hatband. Imported. Balera Canvas Visor: Canvas visor with elastic band in back. Imported. Balera Mini Rhinestone Tiara: Crystal rhinestones sparkle with every turn of the head when wearing this glamorous miniature tiara, and a sturdy comb provides a secure, stay-put fit. Imported. Balera Large Crystal Tiara: Channel your inner princess with this dazzling tiara covered in crystal rhinestones. Two sturdy combs on the ends of the headband provide a secure, stay-put fit. Imported. Balera Iridescent Rhinestone Tiara: Discover the princess within with this dazzling tiara covered in iridescent crystal rhinestones. A sturdy comb provides a secure, stay-put fit. Imported. Weissman Sequin Top Hat: Sophisticated sequined top hat with a felt brim and hat band. Imported. 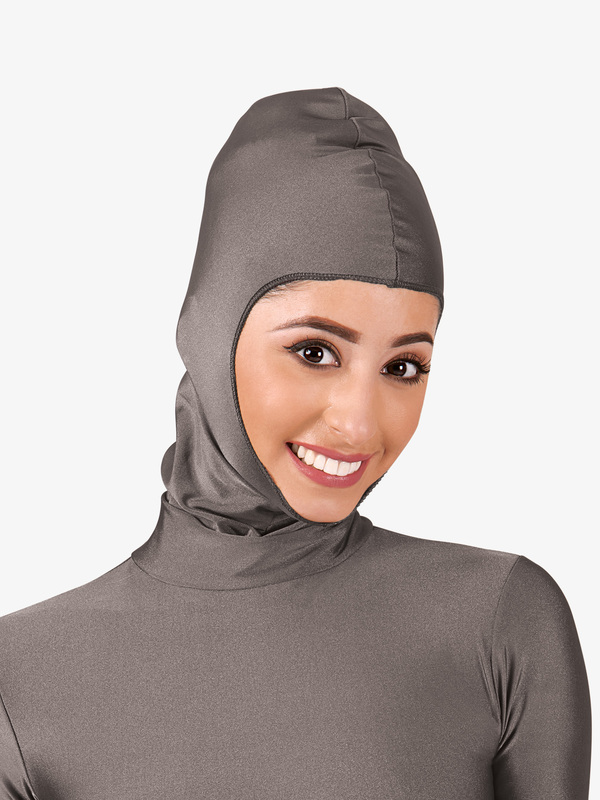 BalTogs Adult Open Face Hood 082: This pull-on open face hood looks great when paired with BalTogs Mock Neck Nylon Unitard or Leotard. This garment must be individually hand washed in cold water. Colors may bleed if washed in a washing machine. 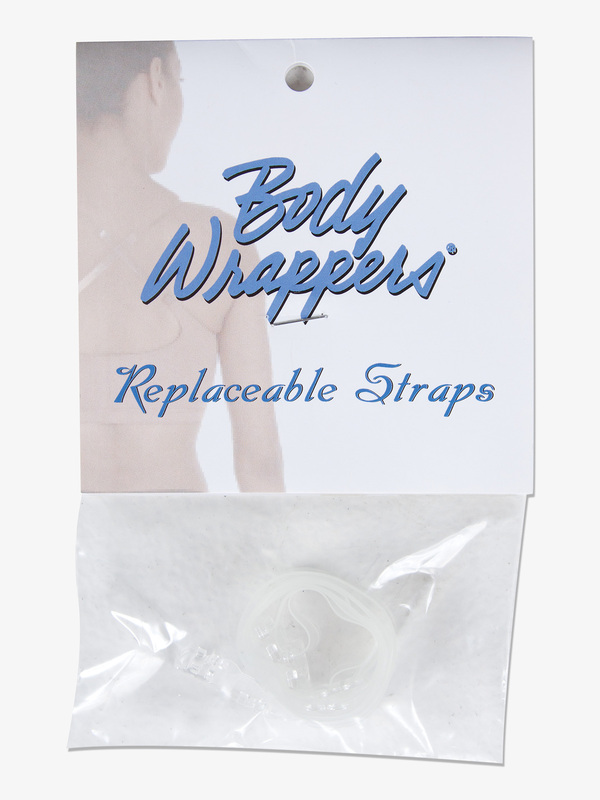 Body Wrappers Womens Adjustable Bra Straps BW002: Replace old bra straps with these adjustable, stretchy elastic straps.2 bra straps included in each set. Double Platinum 12-Pack Premium Felt Bowler Hats 23182: These felt bowler hats feature a satin band and vinyl binding. Hats are 5.5-inch tall. Sold in a pack of 12 hats. Great for performances! One size fits most. Double Platinum 12-Pack Permasilk Bowler Hats 23229: These permasilk derby hats are 4.5-inch high and feature a matching satin band and fabric binding. Sold in a pack of 12 hats. Double Platinum 12-Pack Sequin Fedora Hats 24100: Add some serious sparkle to your performance ensemble with these sequin fedora hats. Features all over sequins. Sold in a pack of 12 hats. One size fits most. Double Platinum 12-Pack Felt Cowboy Hats 24896: Yeehaw! These basic felt cowboy hats feature a matching band with silver studs and a strap to hold hat in place. Sold in a pack of 12 hats. One size fits most. Double Platinum 12-Pack Satin Top Hats J23132: These performance satin top hats are 5-inch high and feature a satin band and fabric binding. Sold in a pack of 12 hats. Balera Mini Top Hat with Veil: This vintage-inspired mini top hat fascinator features a three-tier tulle bow accented with a large shimmering rhinestone and Swiss dot lace veil. A spray of soft feathers provides a playful finishing touch. With two gator clips for a stay-put fit. Imported. Balera Sequin Headband: Dazzling, sequined, elastic headband can be worn as a classic headband for a traditional look or over the hair and forehead for a retro look. Imported. Balera Jeweled Floral Headband: A satin wrapped headband with faux flowers that have jeweled centers and crystal bead accents. Imported. Balera Jeweled Mini Tiara: A gold mini tiara accented with shimmering jewel rhinestones. Imported. Balera Metal Flower Garland Headband: A gold elastic headband decorated with a garland of small metal flowers and leaves. Imported. Balera Colorful Bandana: A bright bandana with a traditional paisley print. Imported. Balera Sequin Mesh Bow Headband: A glamorous finishing touch to any dance costume, this sparkling asymmetrical hairpiece features a mesh bow atop a dazzling, circular sequin base attached to a sturdy satin headband. Imported. Balera Jeweled Feather Headpiece: This hairpiece features a felt circle accented with gold mesh and a cluster of jewel rhinestones. A single bold peacock feather highlights a spray of black feathers for a dynamic finishing touch. A sturdy gator clip ensures a stay-put fit. Can also be clipped to a hat for versatile style options. Imported. Balera Pearl Headband: A sophisticated finishing touch to any dance costume, this sparkling gold headband shines with a single row of white faux pearls. Imported. Balera Paisley Bandana: Traditional, 22 inch square, paisley bandana with multiple uses. From hip-hop dance numbers to Western-themed costumes, this bandana is the perfect accessory. Imported.